Egyptian President re-elected for second term with 92 percent of the vote, according to preliminary results. 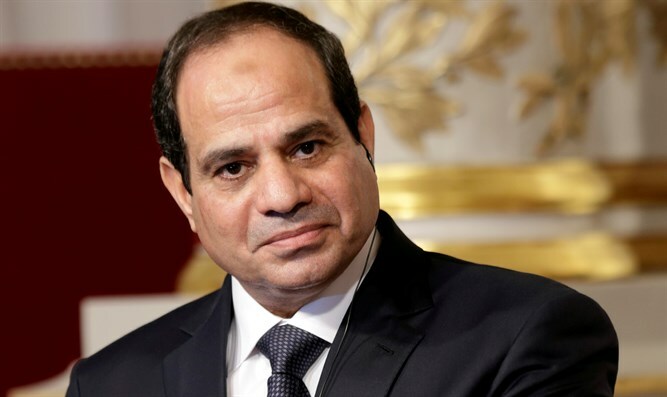 Egyptian President Abdel Fattah Al-Sisi has been re-elected for a second term with about 92 percent of the vote, preliminary results showed on Thursday, according to AFP. 25 million of the 60 million registered voters, or some 41.5 percent, turned out during the three days of polling that ended Wednesday, state-owned newspaper Al-Ahram reported. 23 million voted for Sisi. The Akhbar el-Youm newspaper did not report the full turnout but said Sisi won 21.4 million votes, and his rival Moussa Mostafa Moussa 721,000 votes, without mentioning the number of spoiled ballots. According to Al-Ahram, in addition to 23 million who cast valid votes, two million spoiled their ballot papers. Official results are not expected to be released until next week. The little-known Moussa, who challenged Sisi, is the head of Egypt’s El-Ghad party who registered immediately before the close date for applications. While there were initially several challengers to the former army chief, almost all of them had dropped out of the race. The last candidate to quit the race was Khaled Ali, a rights lawyer seen as the last real challenger to Sisi, who said there were "signs that pointed to a will to poison the whole operation and to corrupt and empty it of its supposedly democratic content." Last Tuesday, Egypt’s former military chief of staff, Lieutenant General Sami Anan, halted his presidential campaign after he was detained and accused by the army of breaking the law by running for office without permission. Another candidate who withdrew is former prime minister Ahmed Shafiq, who had announced he would run in the election, but later backtracked and announced he would not be a candidate, explaining he came to realize he was not the right person for the job. Mohamed Anwar Sadat, a nephew of the former Egyptian president of the same name, also said he would not stand because the climate was not right for free elections. Moussa conceded his loss on Wednesday night, telling a television station he had hoped for 10 percent of the vote, according to AFP.